Since its introduction just over three years ago, there have been more than 141,000 Fiat 500s delivered to owners in North America. 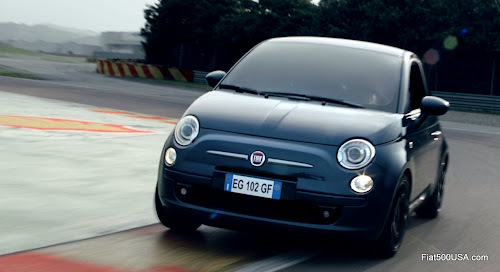 The Fiat 500 is unique because it provides a high style, fun Italian driving experience at an affordable price point. Like any new model though, there are always going to be quirks, annoyances or issues that rear their head over time. Fiat has published a few updates recently that address the petty annoyances that some owners have experienced. These updates are in the form of Technical Service Bulletins issued to Fiat Studio technicians to help them identify, diagnose and rectify these issues. Here are a few of the latest Fiat TSBs that may be of interest to owners. Note: not all cars will have these issues and as always, consult your Fiat Studio for the latest information and to see if your car falls under these bulletins. NOTE: This bulletin applies to vehicles built on or before April 15, 2013 (MDH 0415XX) equipped with Rear Window Wiper/Washer sales codes (JHB). This latest TSB has to do with a rear window washer that leaks. Some cars built before April 15, 2013 may exhibit a rear washer nozzle that dribbles occasionally. Fiat has issued an update that involves installing a check valve and hose assembly behind the rear window washer nozzle. 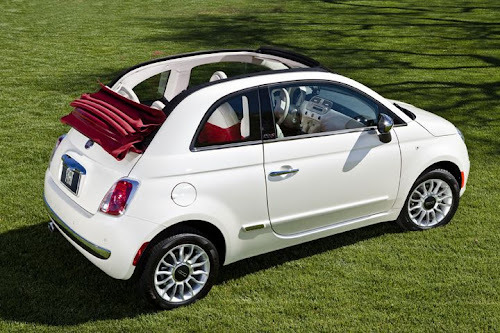 This can happen on 2012 Fiat 500s. An owner may notice the clock picks up a minute or two a month or lose the same amount. This minor problem may or may not be annoying, but now there is a solution out there that involves updating the software in the Instrument Panel Cluster. This bulletin is to inform service personnel of the availability of rear axle alignment shims. This is something Fiat owners have been waiting for, especially owners of the high performance Fiat 500 Abarth model. The rear suspension on a Fiat 500 is a torsion beam axle design. This type of suspension has a limited range of wheel alignment adjustment built in. Until the release of this kit, you were only able to shift the axle over to correct thrust angle adjustment on a Fiat 500. Now with this kit, toe in or out can be adjusted. The kit contains two rear axle alignment shims and replacement spindle mounting bolts. This is enough for one side. Here are a couple of notes when using these shims. Please refer to the Fiat 500 Repair Manual available online at the Tech Authority website. Before ordering the Axle Alignment Shim Kit, first attempt to correct the out of toe condition, by adjusting the alignment thrust angle until a zero thrust angle is achieved. If the toe angle is still out of specification after adjusting the thrust angle, use the Axle Alignment Shim to correct the out of specification toe condition. Shim will provide approximately 1/4 degree of toe correction. Do not use more than one shim kit per axle side and do not stack shims. CAUTION: Do NOT completely remove more than 1 spindle bolt at a time to prevent the spindle and wheel assembly from rotating or coming off the vehicle because damage to the brake hose may occur. Loosen but do NOT remove all four spindle bolts on side of rear axle requiring alignment shim. This bulletin involves replacing both left and right front jounce bumpers. NOTE: This bulletin applies to vehicles built prior to March 7, 2013 (MDH 0307XX). Owners may experience a noise from the front of the vehicle while going over bumps which may be more noticeable in colder temperatures. This Bulletin involves updating the software in the Instrument Cluster (IC). NOTE: This bulletin applies to vehicles built on or before February 07, 2013 (MDH 0207XX), equipped with 1.4L I4 16V Multiair Turbo Engine (sales code EAF), 5- SPD C510 Manual Transmission (sales code DDE) and Electronic Vehicle Information Center (EVIC) (sales code LAZ). NOTE: This bulletin applies to vehicles equipped with a 1.4L engine (sales codeEAF) built on or before February 14, 2013 (MDH 214XX). This bulletin involves updating the software or replacing the unit if instructed. NOTE: This bulletin applies to vehicle built before July 26, 2012 (MDH 0726XX). This bulletin involves flash reprogramming the Body Control Module (BCM) with new software. NOTE: This bulletin applies to vehicles built before May 18, 2012 (MDH 0518XX). NOTE: This bulletin applies to Fiat 500 vehicles built before April 21, 2011 (MDH 0421XX). This bulletin involves verifying the oil fill housing is not partially blocked. If blockage is present replacing the oil fill housing will be necessary. NOTE: This bulletin applies to vehicles equipped with a 1.4L engine (sales code EAB) built between January 18, 2011 (MDH 0118XX) and March 3, 2011 (MDH 0302XX). This bulletin involves inspecting and if necessary replacing the shift knob. NOTE: This bulletin applies to vehicles without (sales code DF1) 6-Speed Aisin Auto Transmission built after June 30, 2011 (MDH0730XX) and prior to June 26, 2012 (MDH0626XX). This bulletin involves diagnosing noise source and spraying lubricant into B-pillar area. NOTE: This bulletin applies to vehicles built on or after September 3, 2012 (MDH 1203XX) and on or before August 9, 2013 (MDH 809XX). Body creak noise coming from the passenger side lower B-pillar area during light acceleration, deceleration, and braking. This bulletin involves inspecting the door glass guide for excessive material and if necessary replacing the door glass and glass run weatherstrip. NOTE: This bulletin applies to vehicles built prior to September 14, 2012 (MDH 0914XX). Side Door Glass is inoperable, binds and/or moves slow. This bulletin involves replacing the rear FIAT emblem and inspecting and if necessary replacing the front Fiat emblem. NOTE: This bulletin applies to vehicles built before January 25, 2013 (MDH0125XX). Front and/or rear emblems bubbling and/or fading. This bulletin involves inspecting for paint peeling and if necessary replacing the rear Abarth liftgate emblem. NOTE: This applies to vehicles equipped with (sales code MEA) Abarth exterior badging built before July 07, 2012 (MDH0707XX).